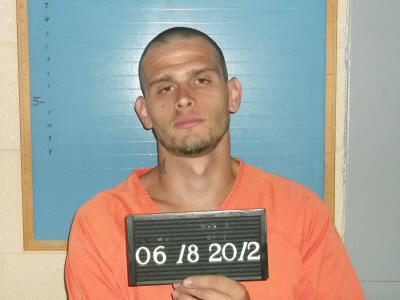 Matthew Ryan Hudgins, 195 Morgan Ave., Woodbury, was charged with Domestic Assault on June 18 by Cannon County Sheriff’s Deputy Jordan McGee. When Deputy McGee arrived at the location Hudgins exited the residence and demanded to be put in handcuffs and into a patrol car. Once that was done Deputy McGee spoke with the purported victim, who said Hudgins became upset during dinner. She said she went outside to call Hudgins’ mother for assistance when he tore her phone up and threw it into the yard. Four children were in the house and were visible upset while officers were there. The victim said Hudgins had been drinking a lot since he lost his job and also smoked marijuana on a regular basis. Hudgins said he had smoked marijuana that day and it was his drug of choice. Bond was set at $2,500. Initial court date is Aug. 7.